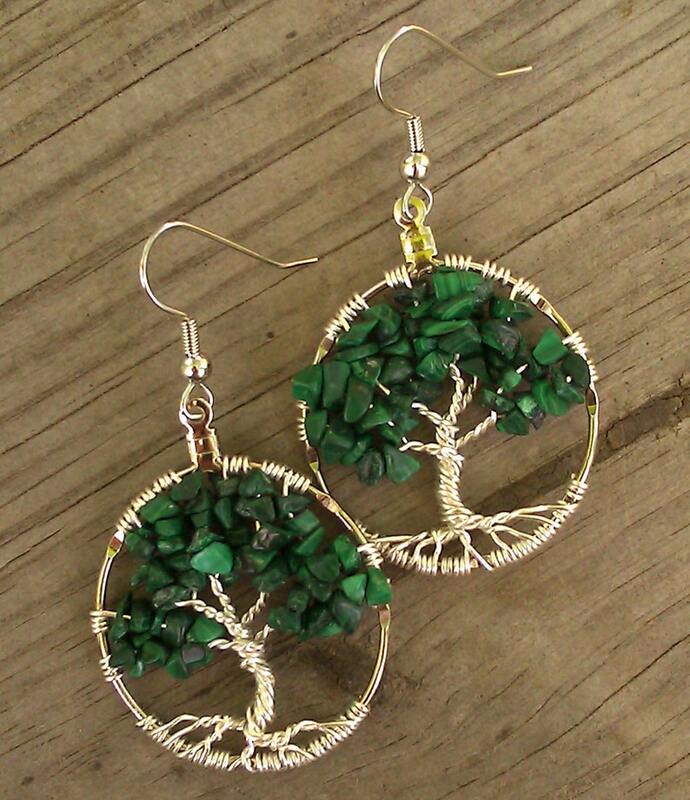 Tree of Life Earrings measuring 30mm (1inch) made with silver plated wire on base metal hoops with Malachite gemstones. The concept of the Tree Of Life has been used in science, religion, philosophy, mythology, and other areas for thousands of years. 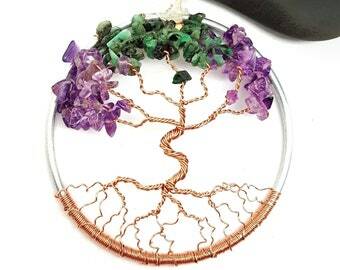 The Tree Of Life, also known as The Tree of Knowledge, is depicted as a tree with many branches, and roots, illustrating the idea that all life on earth is related and interconnected. The TOL Earrings in this listing are the ones you will receive. 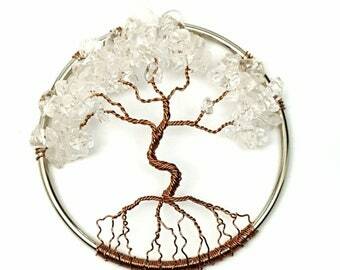 If you would like to order a custom tree please contact me and we can work out the details of gemstone, size, color of wire, etc. Thank you for looking, and please check out the rest of my shop! 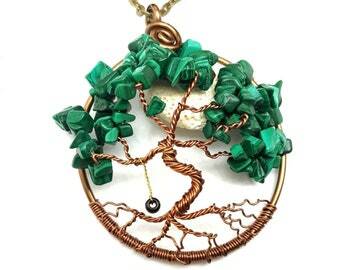 August Birthstone Tree of Life Ornament Peridot, 3 inches in diamater.